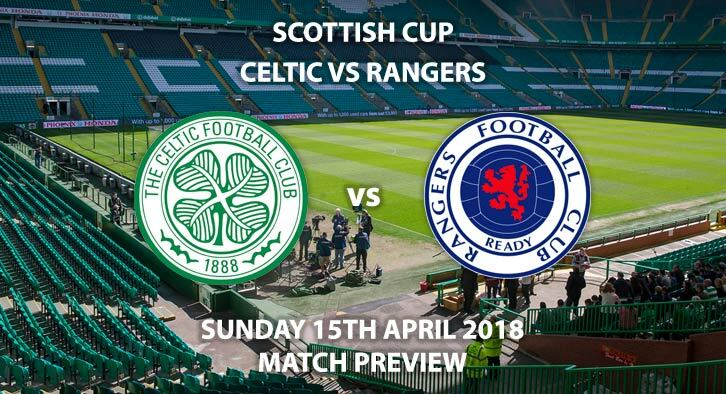 Celtic vs Rangers – The most glamorous match in Scottish football, and one of the world’s fiercest rivalries once again rears its head as Celtic meet Rangers in the semi-final of the Scottish Cup at Hampden Park. Bragging rights, pride, intensity, honour – all words intrinsically linked with a true football rivalry, and especially the Old Firm derby. These two sides have divided Glasgow since Celtic’s inception in 1887, 130 years ago. The roots of the hatred sink deeper than football but it will be on the pitch, at the home of Scottish football, where this iteration of score-settling will occur. It could prove to be a fantastic week for Brendan Rodgers and his side. They are 13 points clear of Rangers and Aberdeen in the league with just five matches to play. So should they come through this tie they could reach the Scottish Cup final and six days later win their seventh successive league title with a victory at Hibernian. Rangers will have to summon all of their passion to defy the odds and best their loathed neighbours. The Gers have been able to beat Celtic since this stage of the Scottish Cup in 2015/16. On that occasion, a fiery match finished 2-2 with Rangers winning on penalties. Since that game, Celtic have remained undefeated in Old firm matches, a run stretching nine fixtures. Even more excruciating for Rangers fan will be the two 5-1 hammerings suffered in that period. Graeme Murty’s team have everything to play for. The semi-final of the cup is the perfect opportunity to break a poor streak and get one over your main adversaries. A place in the final against the victors of Motherwell and Aberdeen is at stake. Both Celtic and Rangers will be adamant in adding another Scottish Cup to their already outrageous tournament hauls. Whilst Rangers have more league titles (54 to Celtic’s 48), Celtic have the better pedigree in this competition with 37 wins to Rangers’ 37. Surprisingly, Celtic are not the top scorers in the division and are yet to have a player reach double figures in the league. Rangers have scored 67, three more than The Bhoys, and can largely thank Alfredo Morelos and Josh Windass’ totals of 14 and 12 respectively for that. This match will be anything but a formality, Rangers have proven that this season by earning a draw at Celtic Park and outplaying Celtic in their narrow 3-2 loss. Expect goals, expect passion, expect challenges flying in, expect drama. This is the Old Firm derby, and it rarely disappoints. Bobby Madden is the man tasked with keeping a lid on this erupting volcano. The Scot has taken charge of 21 Premiership matches this year, dishing out 77 yellow cards and four reds. That included two sending offs in Celtic’s vital 2-0 victory at Aberdeen in February. Celtic vs Rangers will be televised live in the UK on Sky Sports Football with kick-off at 14:30. A repeat of their last fixture, the game will be open with Celtic having enough quality to once again impose superiority on their reviled counterparts. Scott Brown and Daniel Candeias both to be carded – 5/1. Odds and markets last updated on 15th April 2018 @13:40 GMT. Markets unlikely to be updated prior to kick off.